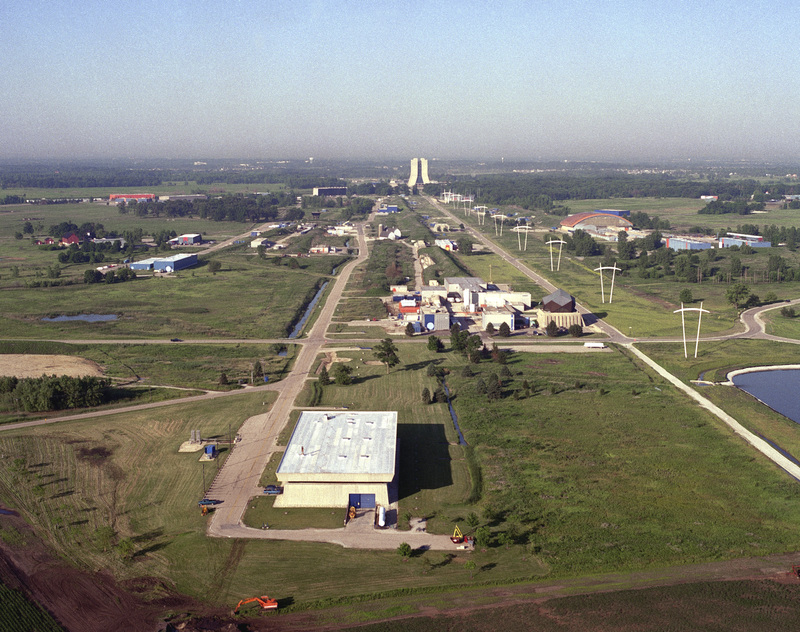 This year Fermilab celebrates a half-century of groundbreaking accomplishments. 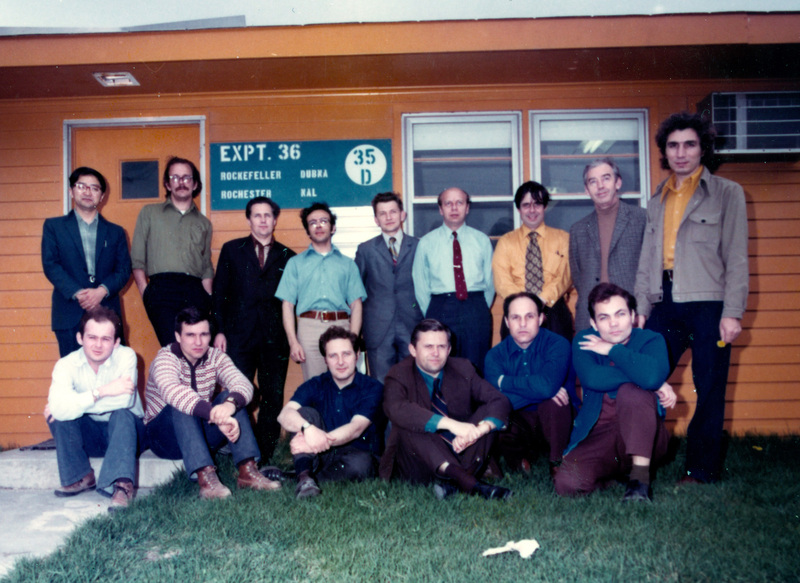 In recognition of the lab’s 50th birthday, we will post (in no particular order) a different innovation or discovery from Fermilab’s history every day between April 27 and June 15, the date in 1967 that the lab’s employees first came to work. 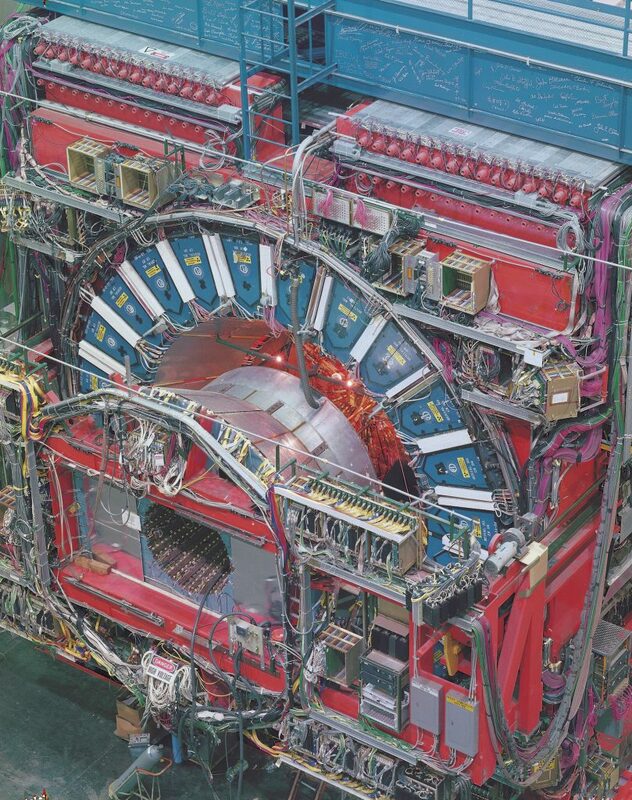 The list covers important particle physics measurements, advances in accelerator science, astrophysics discoveries, theoretical physics papers, game-changing computing developments and more. 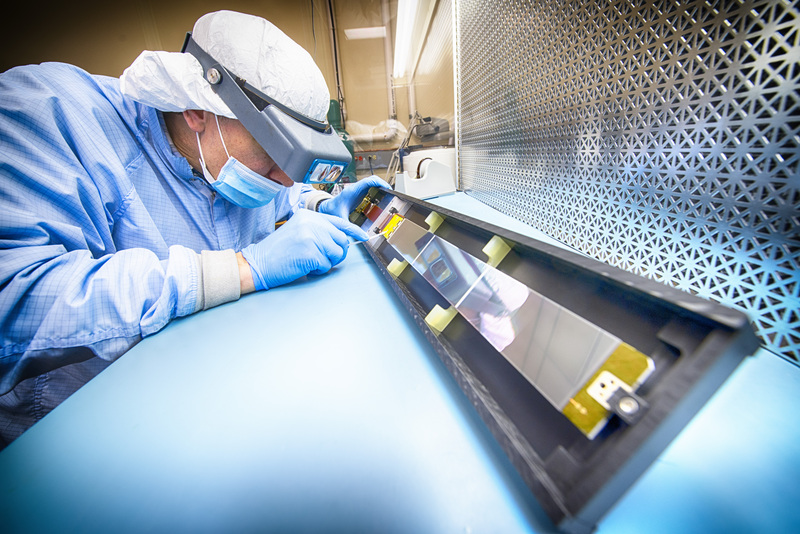 While the list of 50 showcases only a small fraction of the lab’s impressive resume, it nevertheless captures the breadth of the lab’s work over the decades, and it reminds us of the remarkable feats of ingenuity, engineering and technology we are capable of when we work together to do great science. 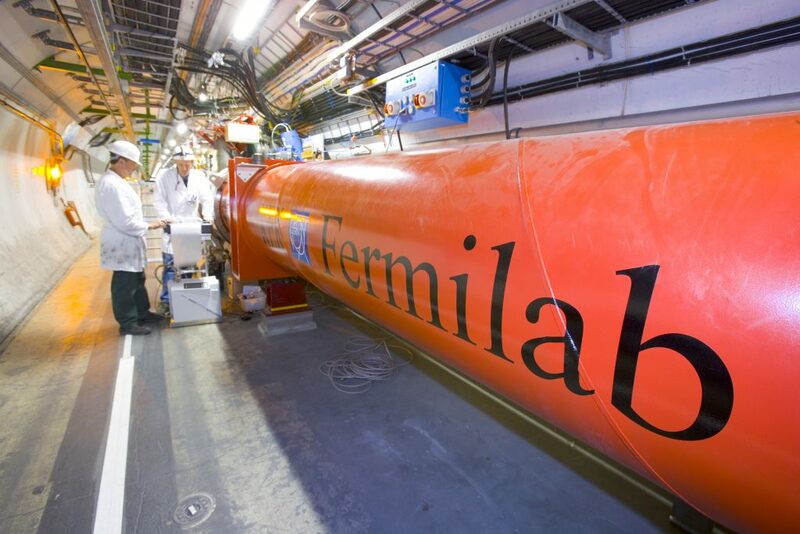 Fermilab achieved the world’s most precise measurement of the mass of the W boson in 2009 when DZero scientists made the measurement, and then again in 2012 with Fermilab’s CDF experiment. Measuring the W boson, one of the carriers of the weak force, is a messy business. 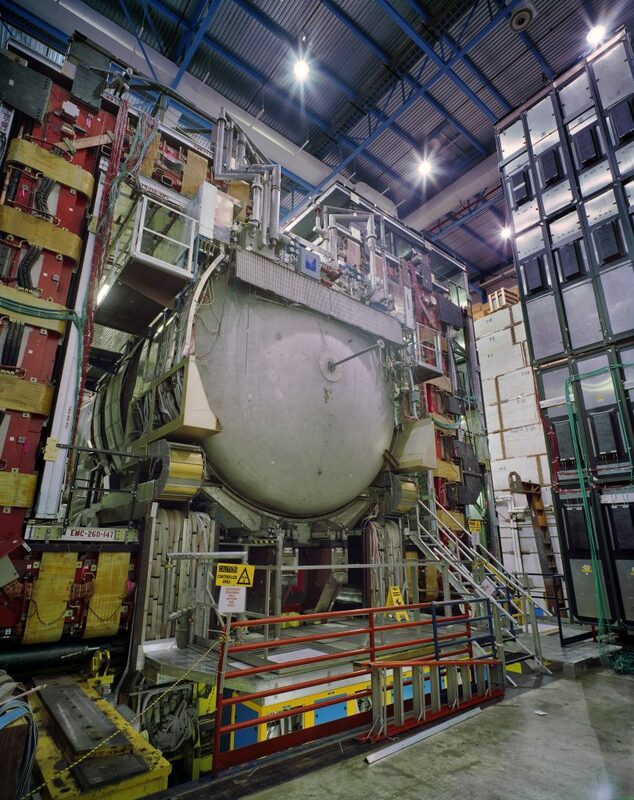 To measure a W boson, researchers at the Tevatron had to measure every decay product of the W boson, which required a detailed understanding of the detectors’ responses to physics beyond the production of W bosons in the collider. 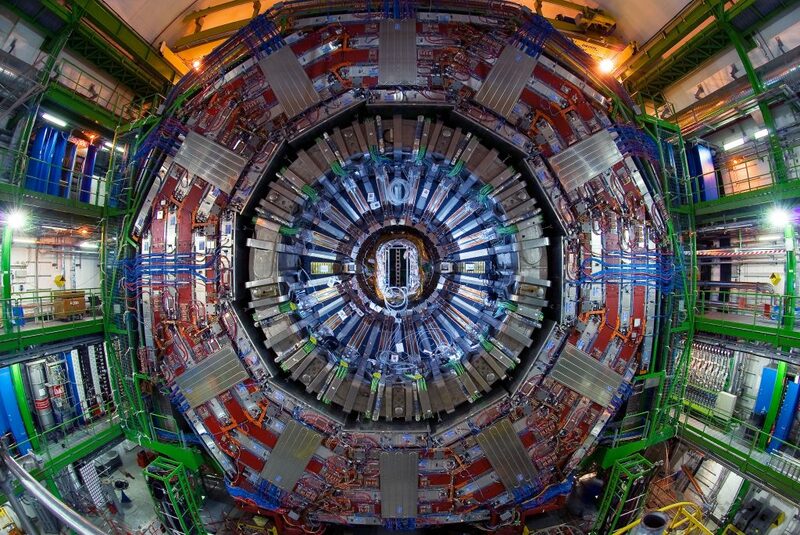 A collection of contributions made by Fermilab theorists helped the science community understand what the experiments at the world’s two largest colliders — the Tevatron and the LHC — could see. The scientists, including John Campbell, Estia Eichten, Keith Ellis, Walter Giele, Stephen Mrenna and Chris Quigg, produced the first comprehensive study of signals and backgrounds at hadron colliders; created simulation tools that have been used in virtually every Tevatron and LHC analysis; and performed precision calculations of Standard Model processes. 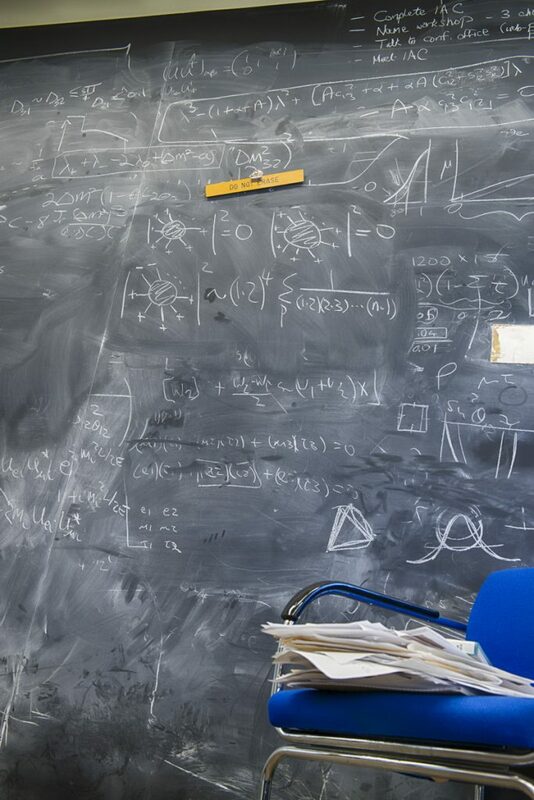 These calculations aided the discovery of the top quark at the Tevatron and the Higgs boson at the LHC. 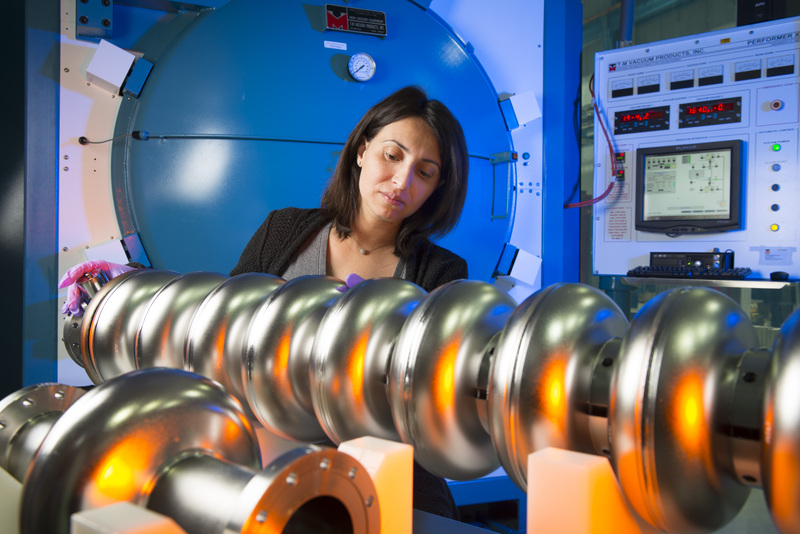 We may think of particles in accelerators as smoothly cruising ahead until they reach their target, but in very high-intensity beams they also destructively interact with each other. 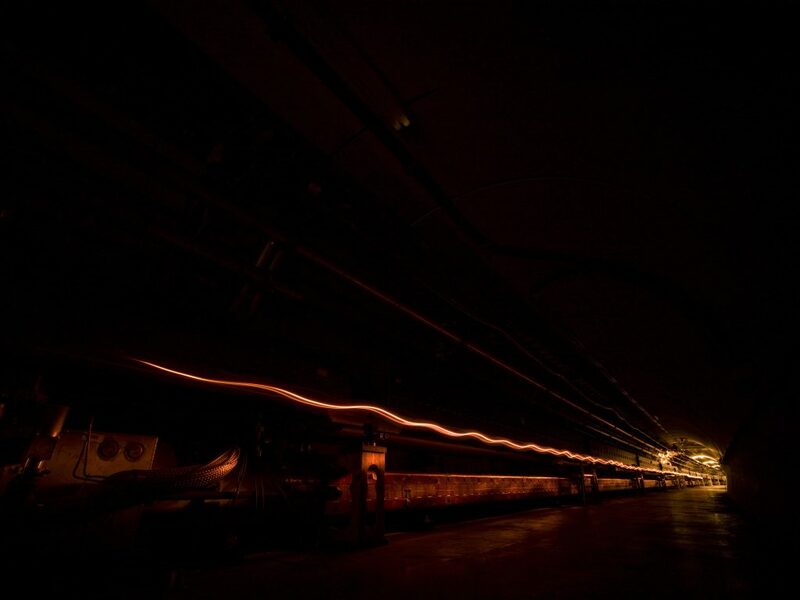 James Bjorken and Sekazi Mtingwa, two scientists working at Fermilab, predicted and discovered a number of these “intrabeam scattering” phenomena, which brought about losses and limited the performance of circular accelerators. 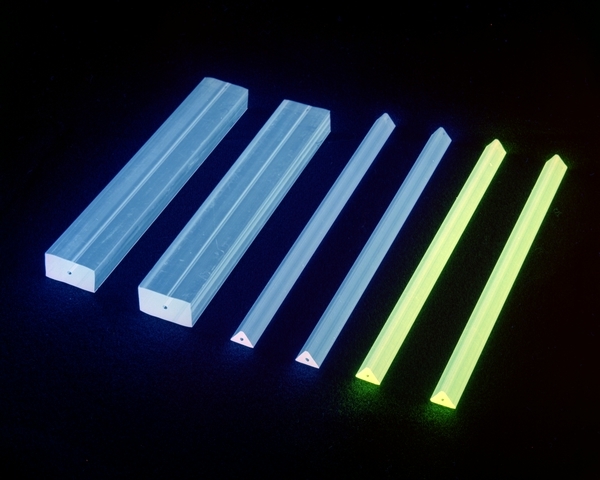 A related mechanism, called “intrabeam scattering stripping,” was also predicted by theory and experimentally identified by scientist Valery Lebedev as a performance-limiting effect in modern linear accelerators. 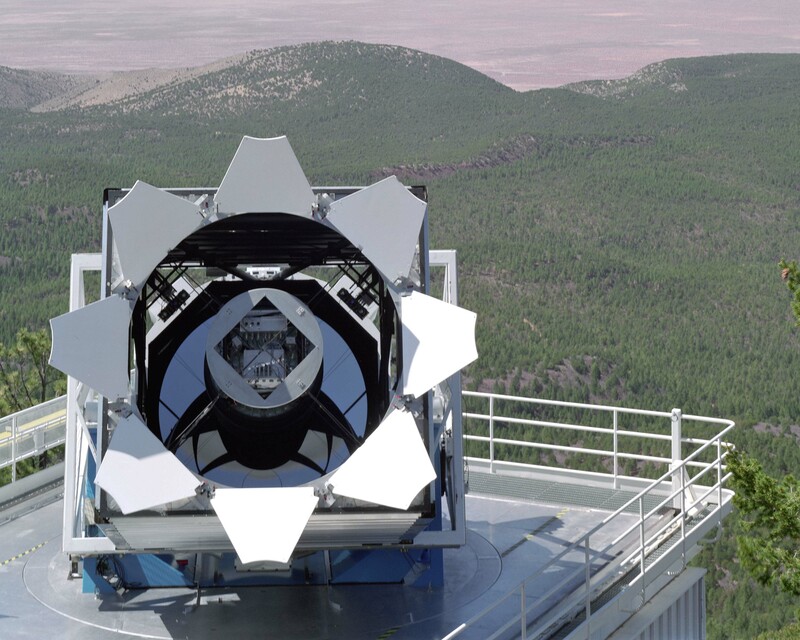 In 2005 the Sloan Digital Sky Survey, of which Fermilab was a major collaborator, confirmed the existence of baryon acoustic oscillations. These BAOs are giant sound waves from the early universe, and their imprint remains on the way matter is distributed today, more than 13 billion years later. Taking measurements of more than 45,000 galaxies, the Sloan survey measured the peaks in these enormous ripples to be roughly 500 million light-years apart. 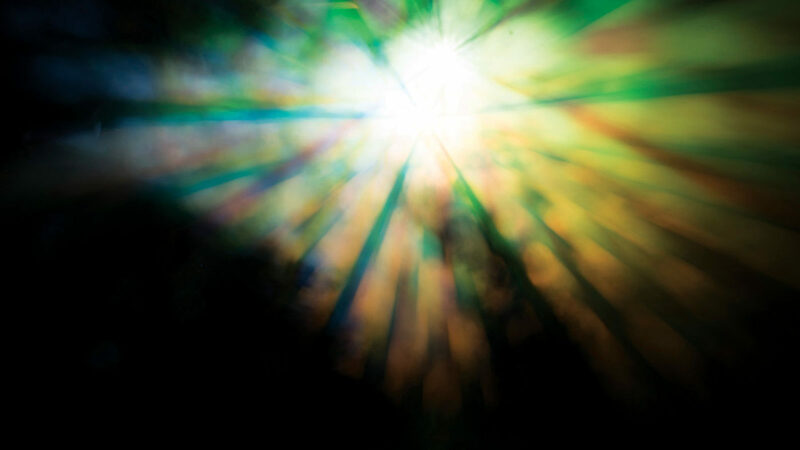 Scientists know relatively little about neutrinos, the most abundant matter particle in the universe. 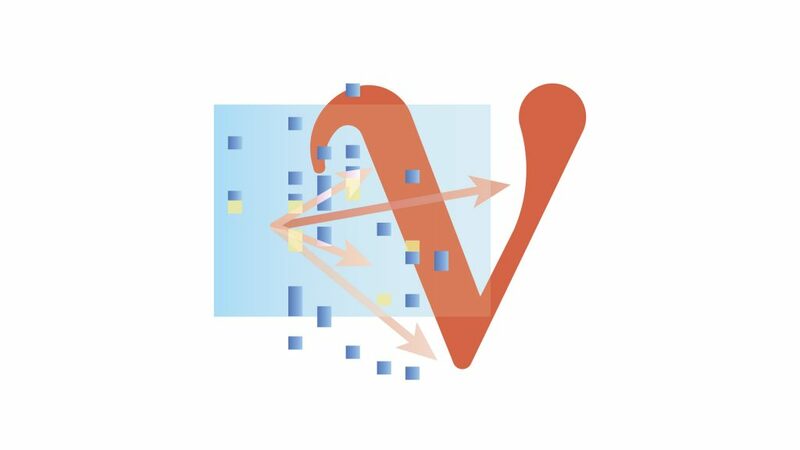 But Fermilab’s MINOS and NOvA experiments have made incredible strides in understanding how and why the fickle particles change their fundamental properties as they travel. 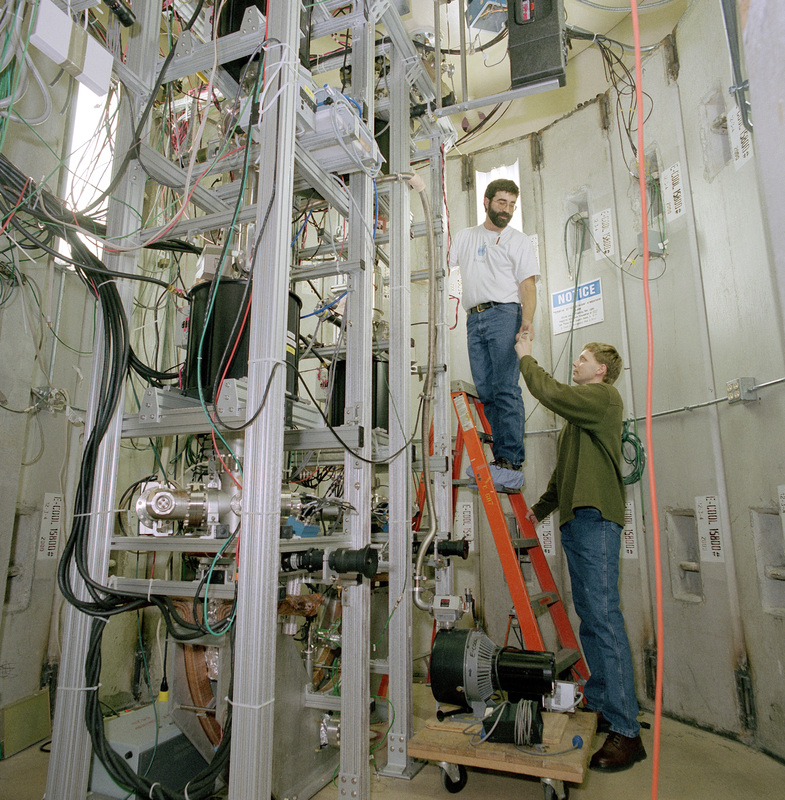 MINOS began recording data about the oscillation phenomenon in 2005, and the longer-distance NOvA experiment began in 2015. 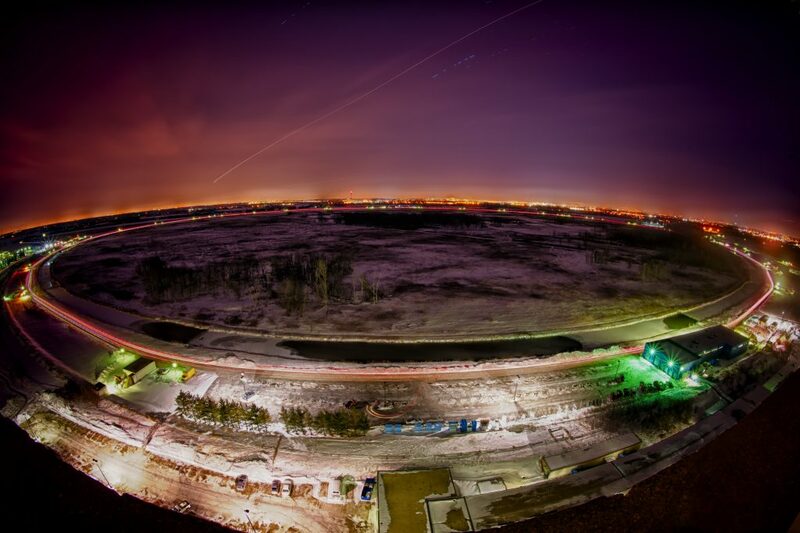 The Fermilab accelerator complex smashes protons into so-called targets to produce other particles that scientists can study. The more protons the accelerator can provide, the more data there is to work with. Fermilab accelerator scientists and engineers were the first to successfully implement a technique called “slip stacking,” which allows the injection of multiple batches of beams into an accelerator at one time. 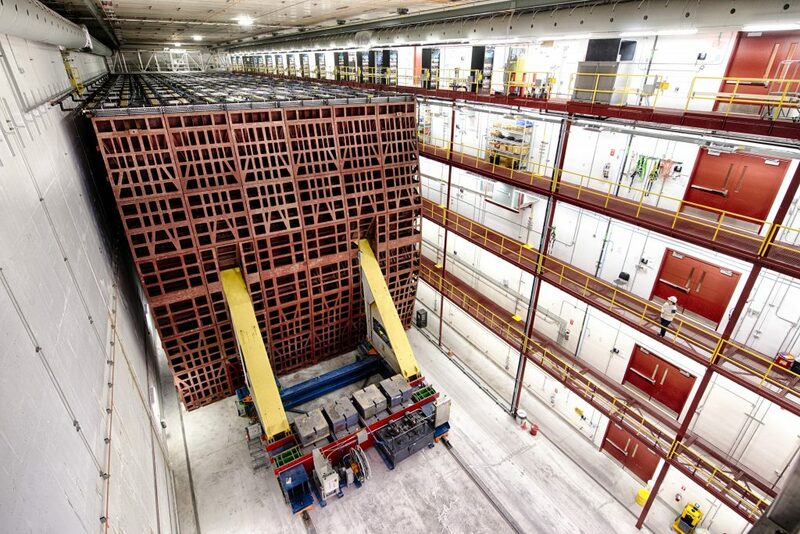 By implementing slip stacking, Fermilab effectively doubled the number of protons delivered by its Main Injector accelerator. Kiyomi Seiya was given an IEEE Particle Accelerator Science and Technology award for the work. Scientific discovery is something of a guided surprise. You have to know where to look to find something new, but you’re never 100 percent sure it’s there until you see it. 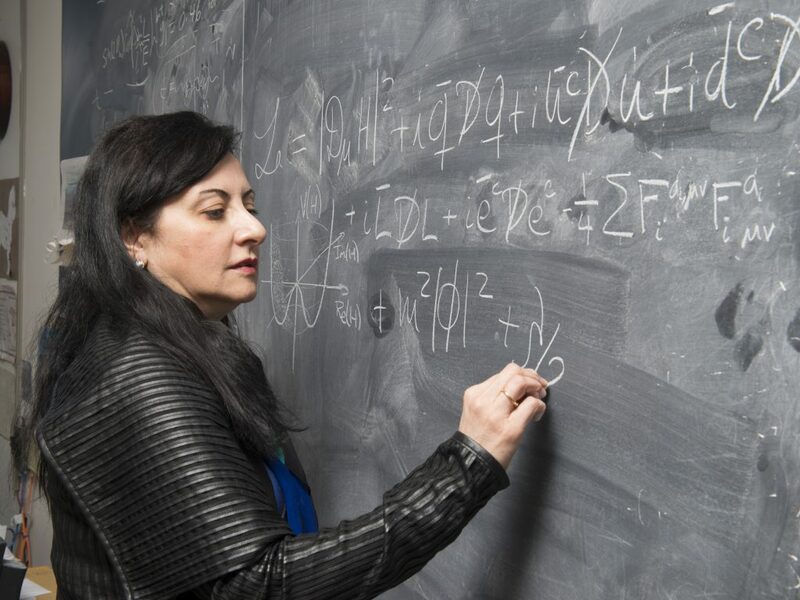 Fermilab theorists have been and continue to be guides on the journey to discovery to new physics — physics beyond the reliable Standard Model of particle physics. 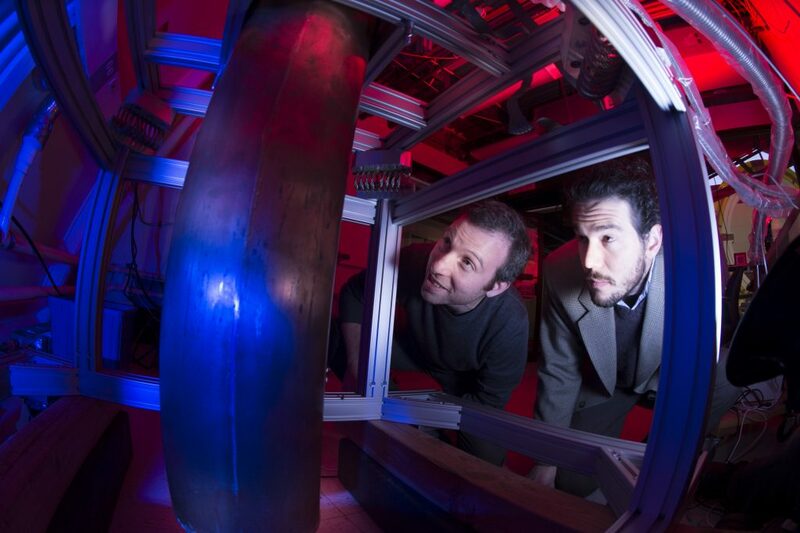 New paradigms developed at Fermilab have led to extensive theoretical research worldwide. 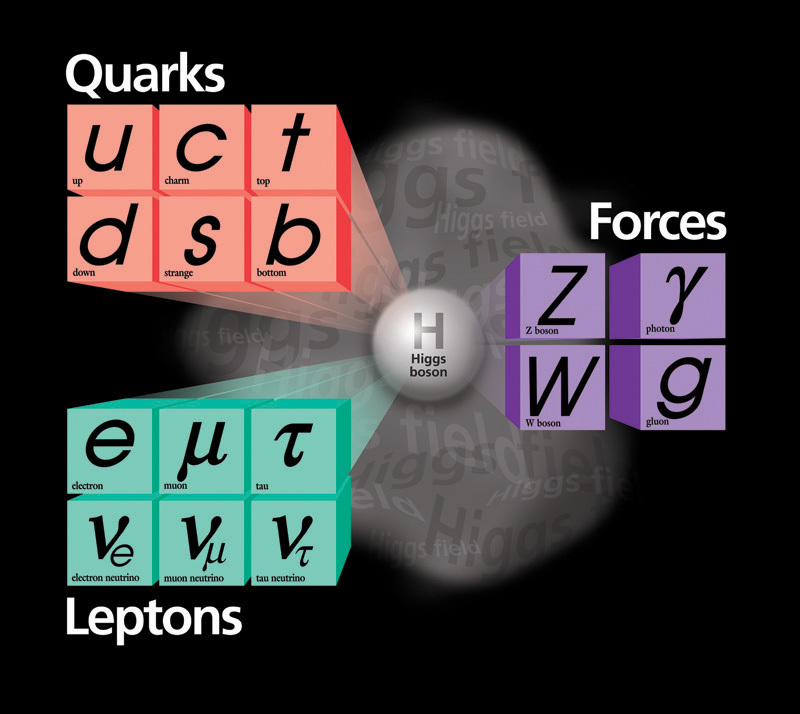 Their ideas have stimulated a multitude of experimental searches: for the Higgs boson and supersymmetry (Marcela Carena), dark matter (Patrick Fox and Roni Harnik), alternative realizations of electroweak symmetry breaking (Chris Hill and Bill Bardeen), and extra dimensions (Bogdan Dobrescu and Joe Lykken). 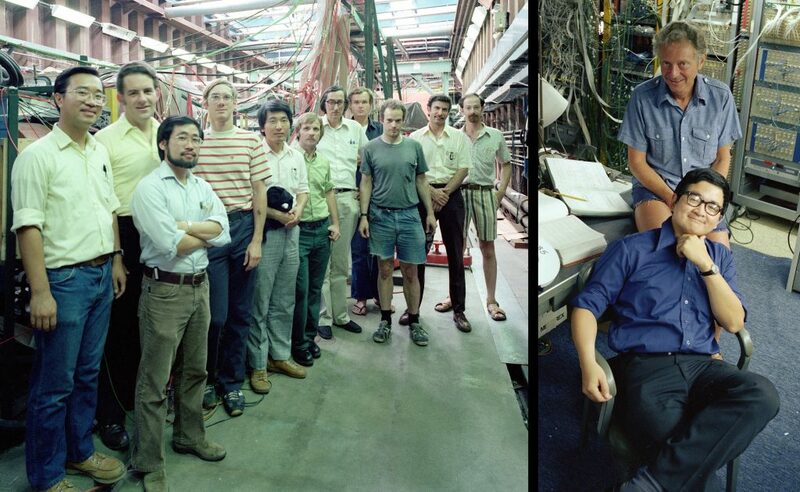 Fermilab theorists spearheaded the use of a method that predicted with uncanny accuracy the properties of quarks and the composite objects they form. 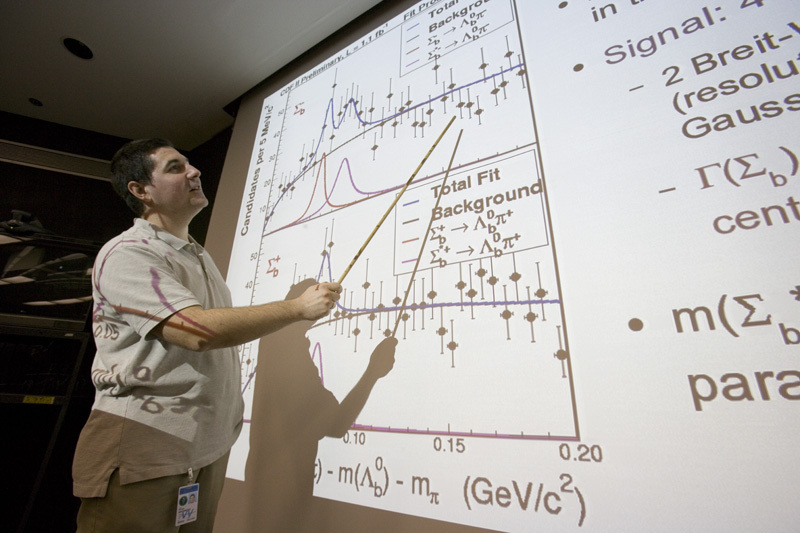 Fermilab scientists were among the collaborators who, in 2003, demonstrated that the method, called lattice QCD (for lattice quantum chromodynamics), could be carried out with unprecedented precision. 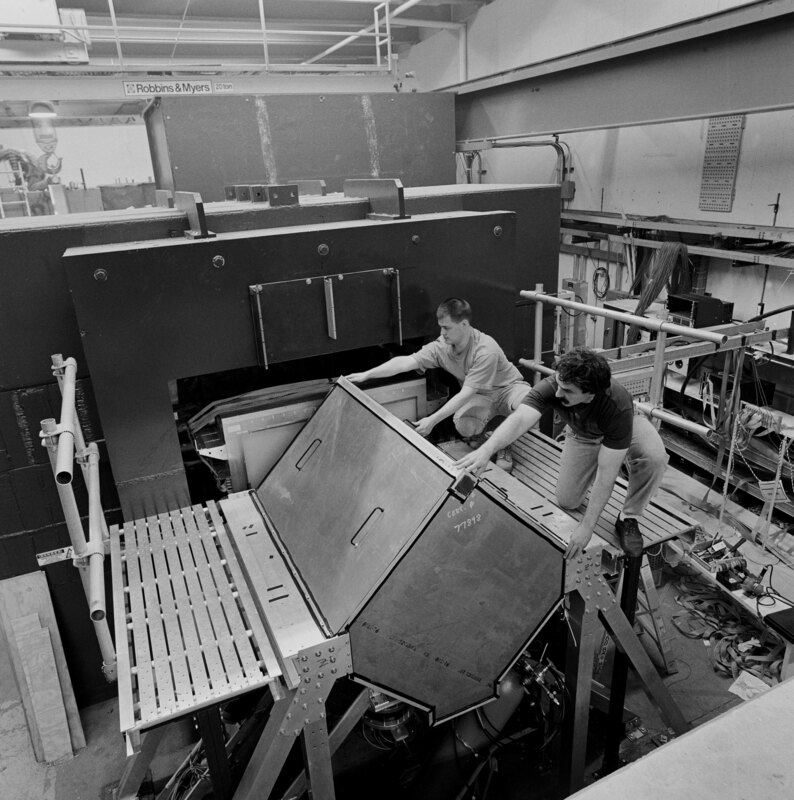 What followed was a world-leading program for lattice QCD thanks to advances by Fermilab’s Andreas Kronfeld, Paul Mackenzie, Jim Simone and Ruth van de Water. 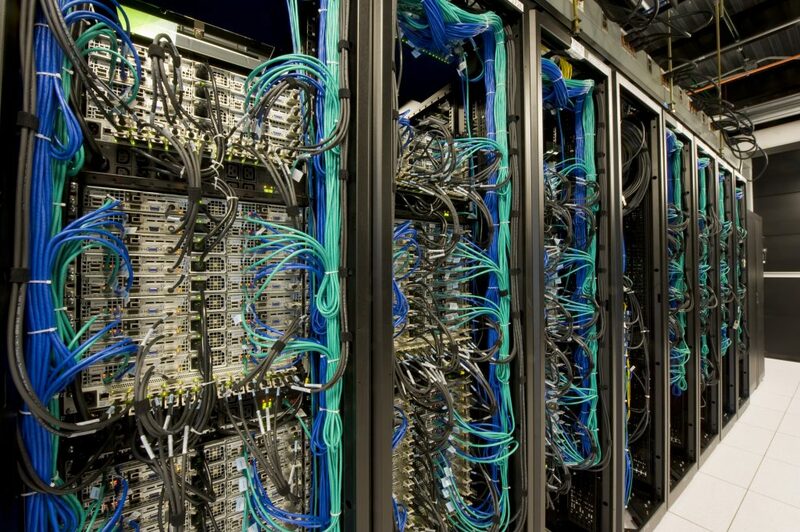 These calculations, which require high-performance computing facilities, have been indispensable for researchers in all areas. 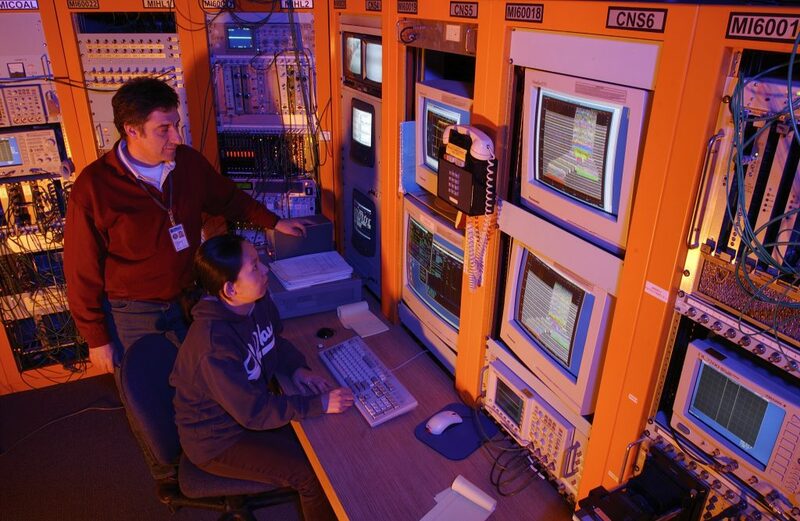 From 1998 to 2011, Fermilab experiments discovered five baryons, particle cousins of the proton, and one more distantly related meson: Ξb0, Σb and Σb*, Ξb–, Ωb– and Bs. These particles were important in our understanding of how matter forms and holds together at the most fundamental level. No one knows what dark matter is, but we’re pretty sure it’s out there: Given their observable mass, the spin rate of galaxies is far too fast. Some other matter — matter we can’t see — must also play a role to cause them to spin with such velocity. Physicists have proposed a number of possibilities for what dark matter is, and Fermilab scientist Scott Dodelson and his colleague Lawrence Widrow were the first to propose that dark matter might be made of sterile neutrinos — hypothetical particles even more weakly interacting than neutrinos. The standard theory of the electroweak force with the addition of sterile neutrinos is one of the simplest ways to accommodate dark matter. 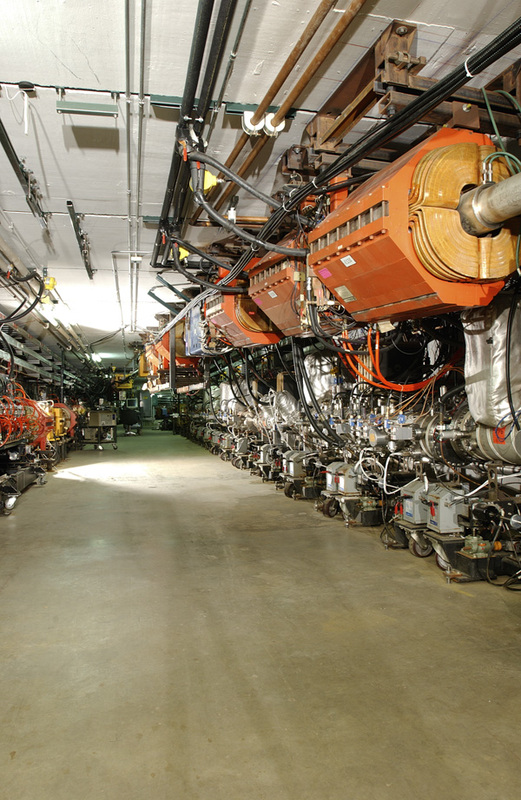 At some 300 billion antiprotons per hour, the Tevatron’s antiproton source was the most intense, consistent source of antiprotons in the world. 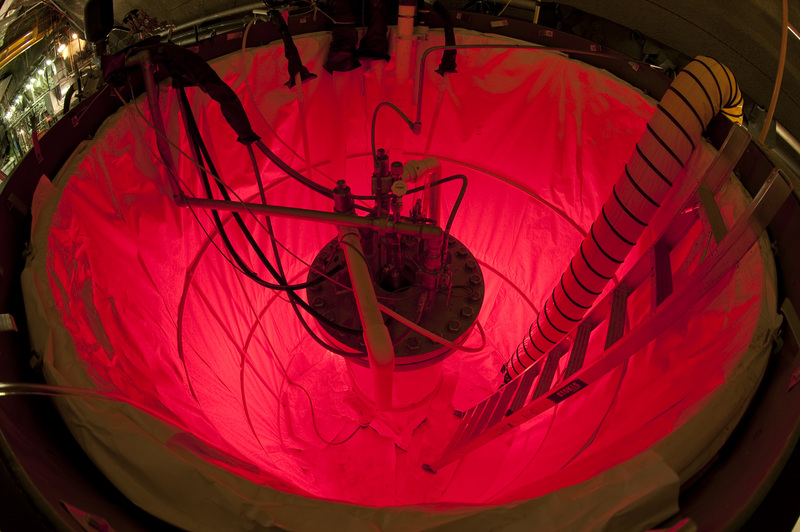 At this impressive rate, about 17 nanograms of antiprotons were generated at Fermilab over the years, accounting for more than 90 percent of the world’s manmade production of nuclear antimatter. 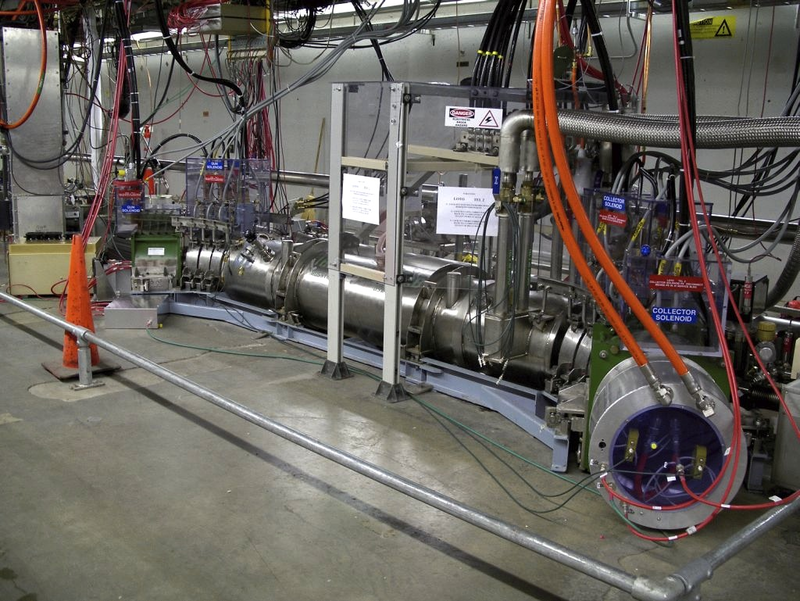 Along with protons, the rare antiparticles were the second half of the Tevatron’s collision equation. 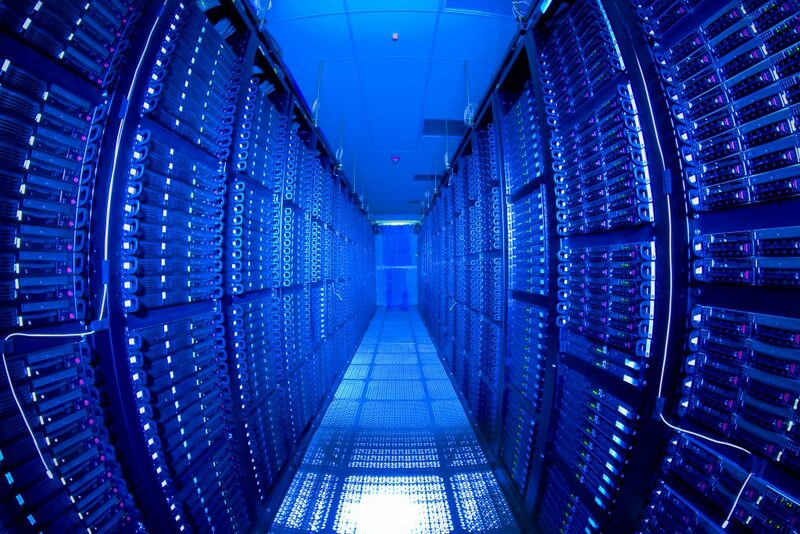 The world record for antiproton production made the collider a success. Without the Higgs boson, atoms would not form, and there would be no chemistry, no biology and no life. 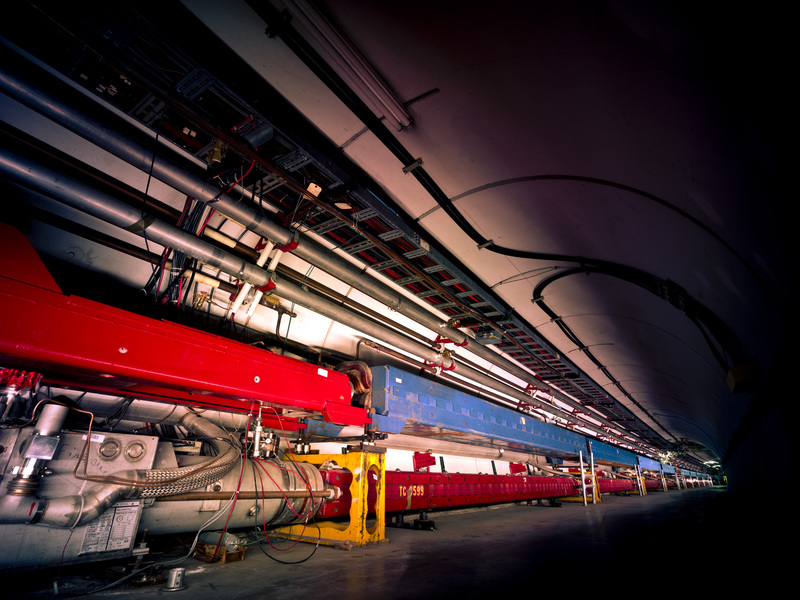 Its discovery at CERN laboratory was the culmination of nearly five decades of work and included research at Fermilab’s Tevatron accelerator, in particular on the CDF and DZero experiments, and on the CMS experiment at CERN’s Large Hadron Collider. 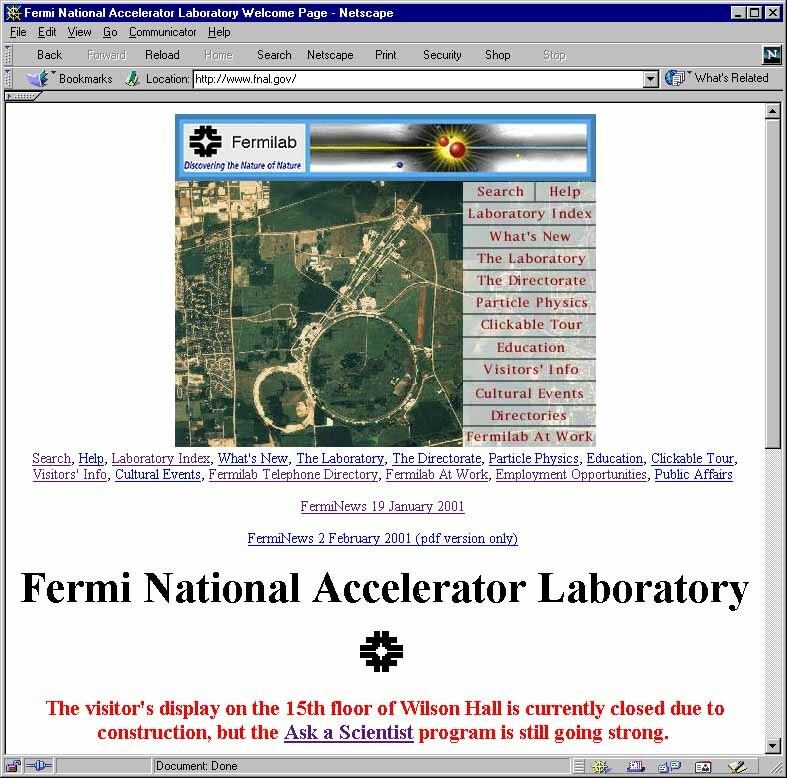 Fermilab is the host laboratory for U.S. CMS collaborators. 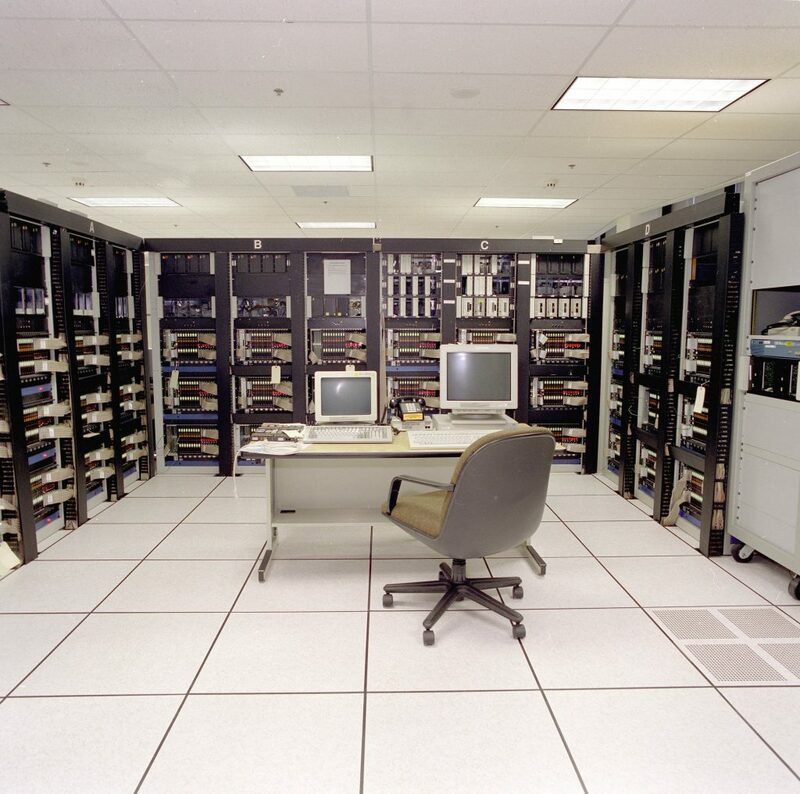 It contributed new ideas and physics models, CMS experiment construction and operation, and computing power and intellectual leadership in data analysis at CMS. 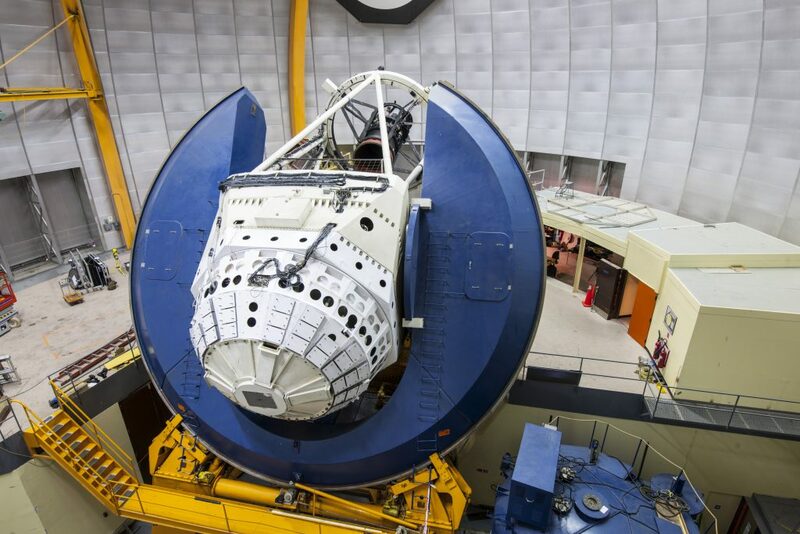 In 2014, Fermilab scientist Craig Hogan’s team began taking measurements with a 40-meter-long instrument they called the Holometer, designed to test a mind-boggling proposition: that the 3-D universe in which we appear to live is no more than a hologram. 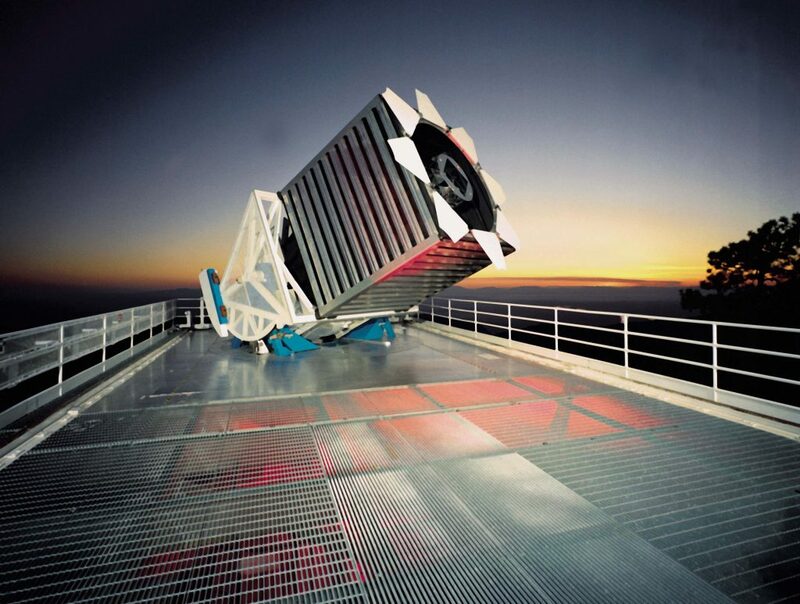 They built the Holometer to test ideas for ways that space could really be made up of discrete, 2-D pieces that carry information we perceive in three dimensions. 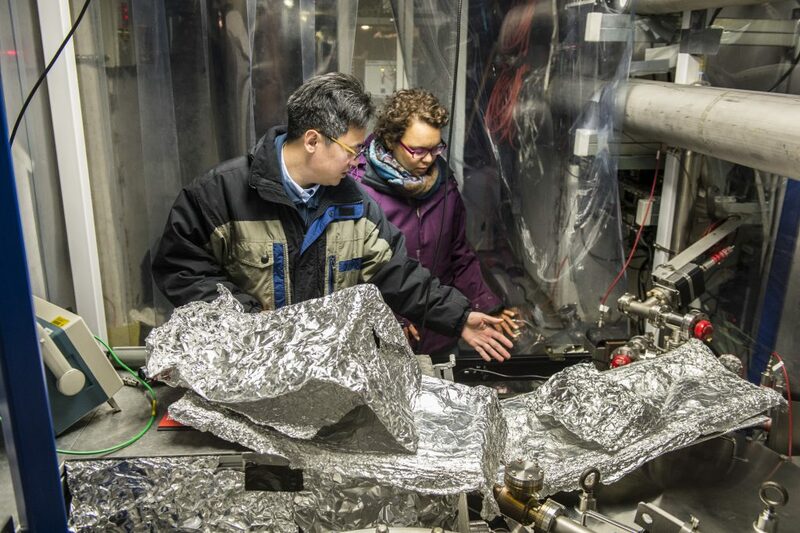 This experiment measures reality on the smallest scale we can conceive, where atoms are gigantic compared to the tiny grains of space and time Fermilab researchers are searching for. 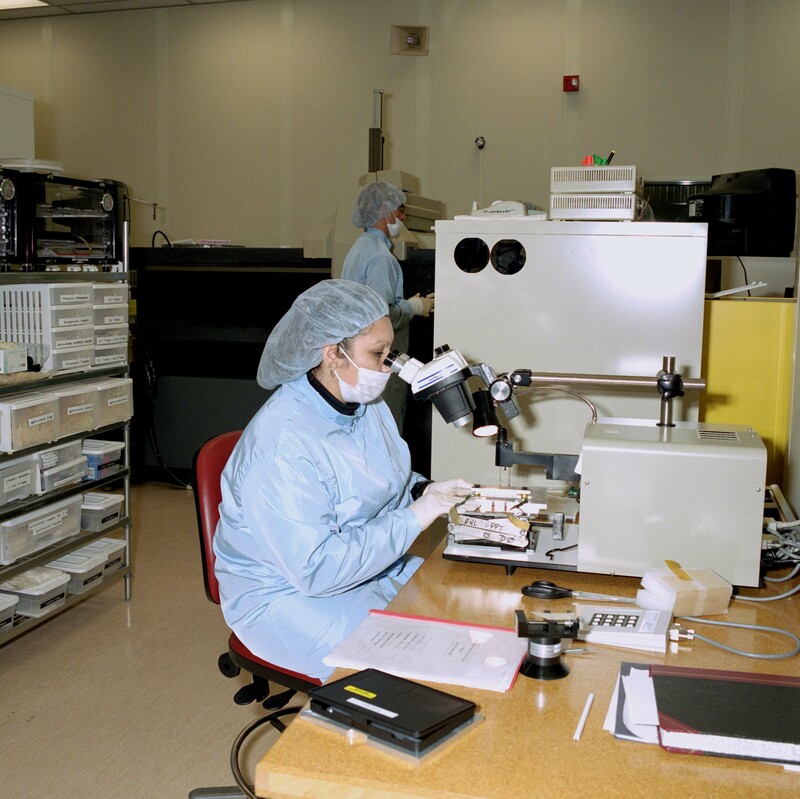 On Feb. 24, 1999, physicists from Fermilab’s KTeV collaboration established the existence of direct CP violation in the decay of kaon particles. The observation was a significant step in understanding why the universe displays an abundance of matter, while antimatter disappeared at an early stage in its evolution. The more tightly the particles are packed into a particle beam, the better chances that the particles will collide in an accelerator. 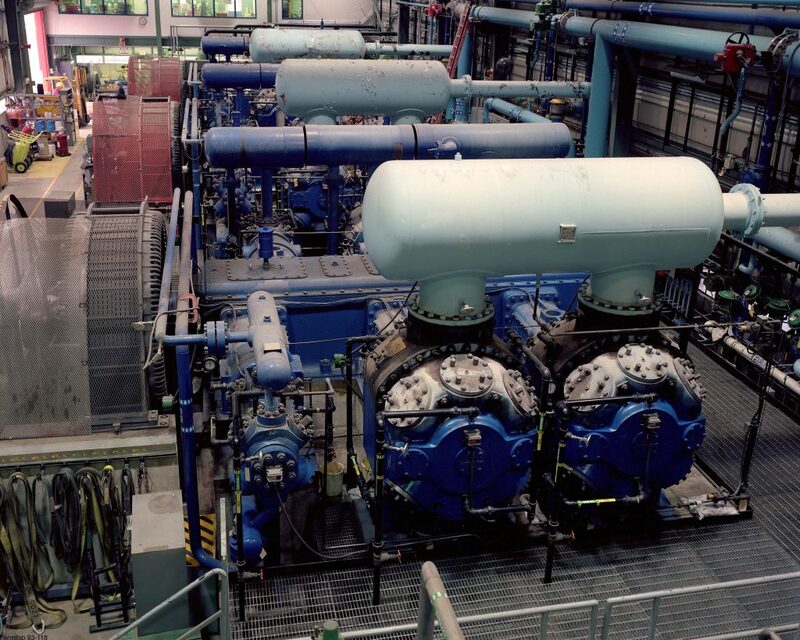 The dynamics of dealing with dense, high-power beams are an enormous challenge. Fermilab scientists were the first to invent, develop and apply what are called “hollow” electron beams to proton colliders. The hollow electron beams enclose a circulating proton beam, cutting down on beam losses that could potentially damage the accelerators and detectors. 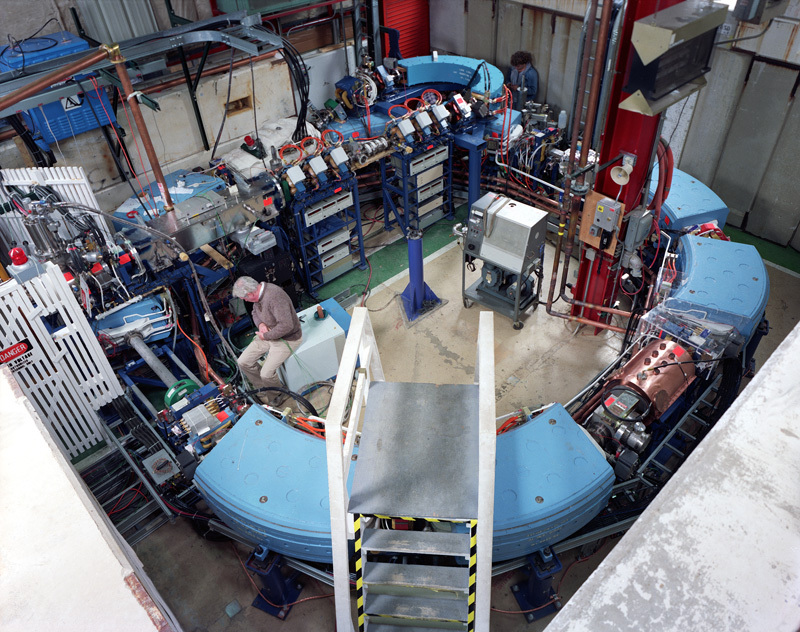 This halo collimation technique, successfully demonstrated at the Tevatron, is now the technology of choice for current and future particle colliders, including the Large Hadron Collider and the Future Circular Collider. 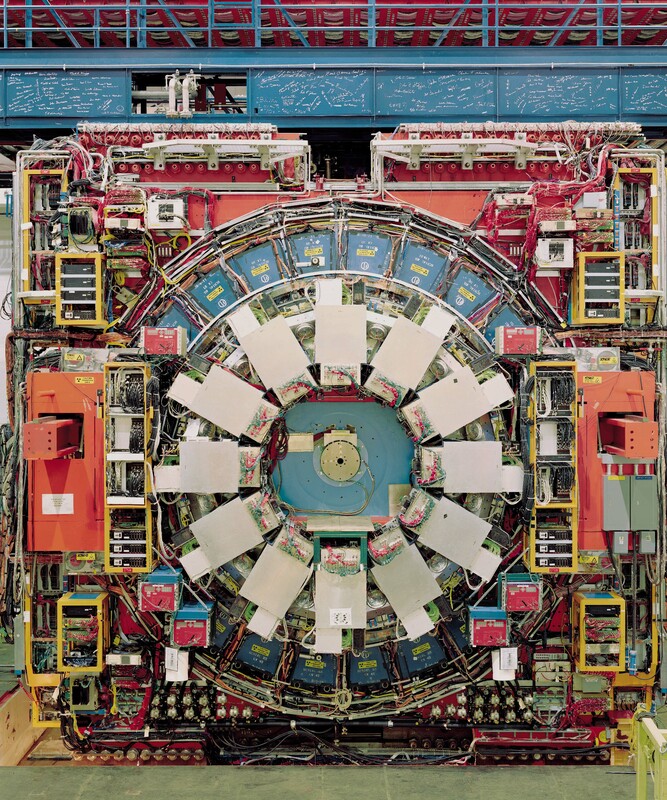 The proud, magnificent, 15-foot bubble chamber that detected particle collisions at Fermilab may have been decommissioned in 1988, but its legacy was rekindled 20 years later when the fundamental concept returned in the search for dark matter. 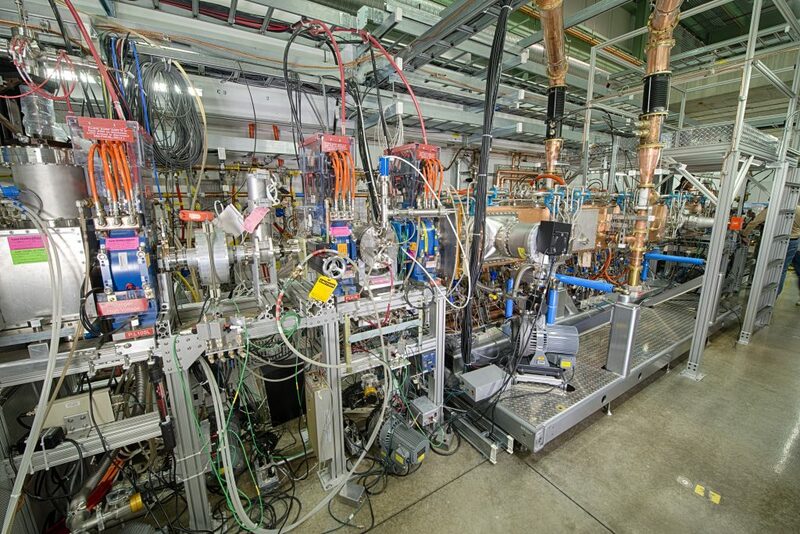 In 2008, Fermilab physicists completed the first run of the COUPP experiment that filled a 1-liter bell jar of superheated liquid, in hopes that dark matter particles would collide with it, theoretically disturbing the liquid and causing it to boil. In 2005, Fermilab was the first to scale up a technology known as electron cooling to adapt it for relativistic high-energy antiproton beams. 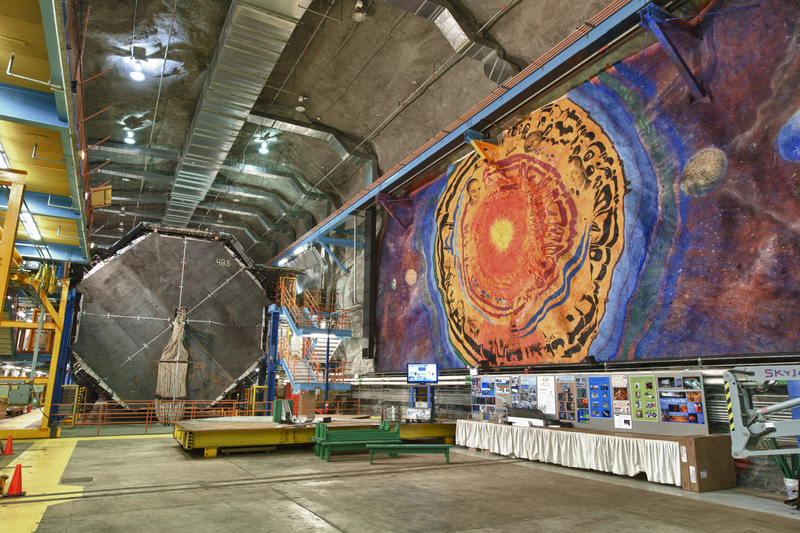 The implementation of the cooling in Fermilab’s Recycler ring by a team led by Sergei Nagaitsev helped increase the rate of particle interactions in the Tevatron collider by a factor of three. Nagaitsev earned a U.S. 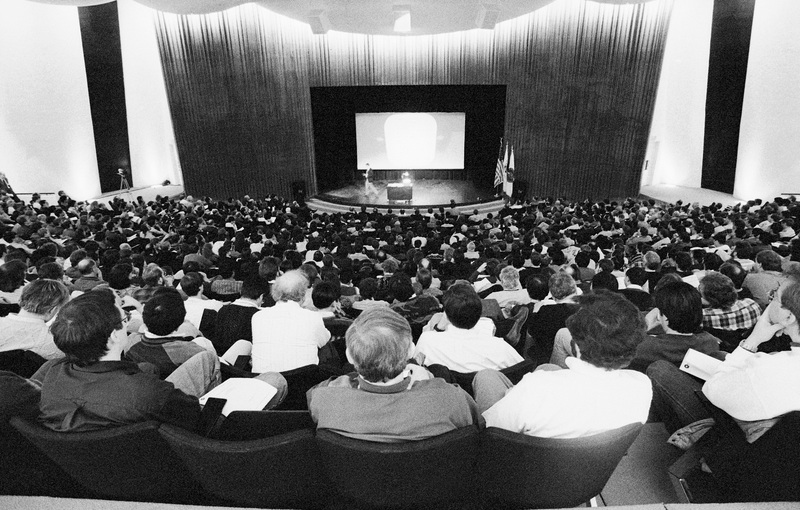 Particle Accelerator School Prize for Achievement in Accelerator Physics and Technology for the innovation. 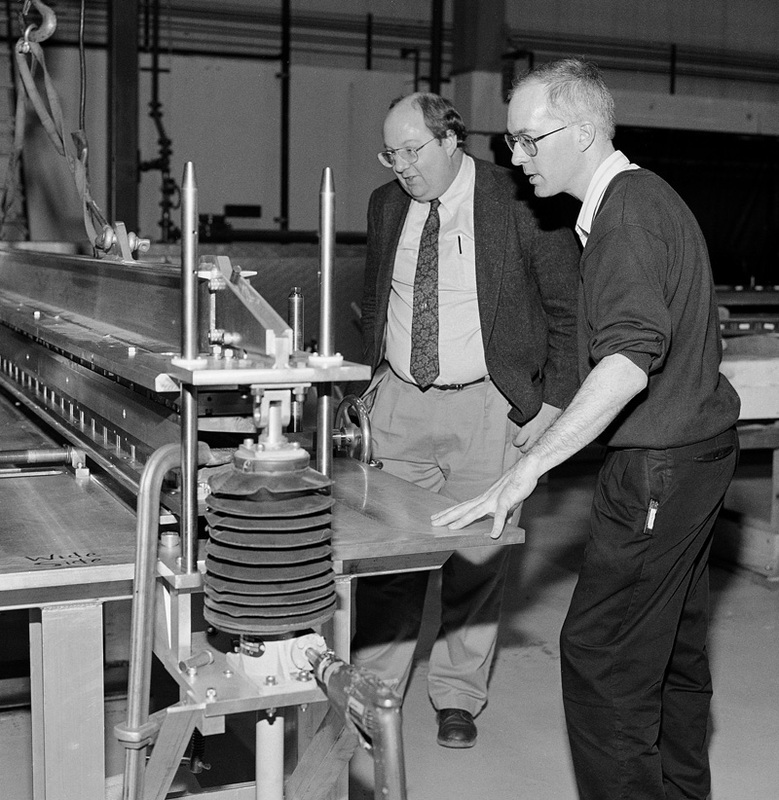 In 1996 Fermilab astrophysicist Albert Stebbins, along with scientists Marc Kamionkowski and Arthur Kosowsky, proposed a way to look for signals of gravitational waves in the cosmic microwave background: by detecting something called B-mode polarization. It would present itself as a distinct pattern in the sky. 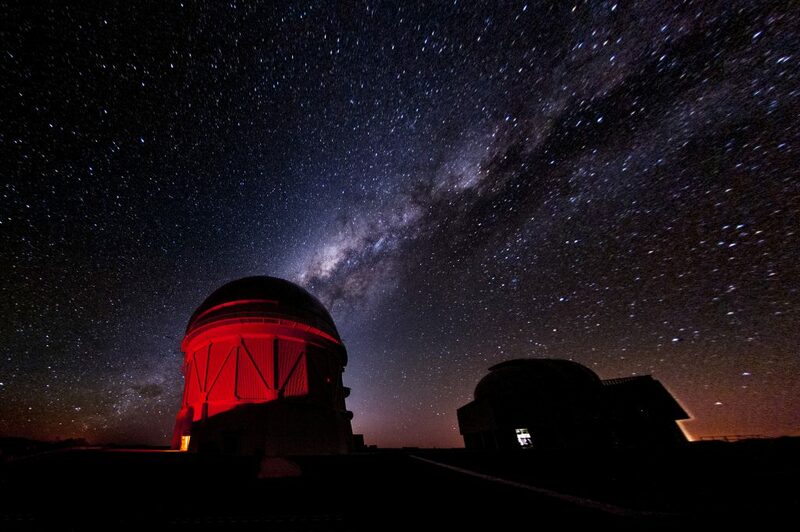 These very faint signals, “curls” of light from the early universe, could provide evidence of the theory of inflation, which says that the universe underwent a rapid expansion soon after the Big Bang. The BICEP2 experiment later detected B-mode polarization, in 2014, but their signal was likely sourced by astrophysical foregrounds. 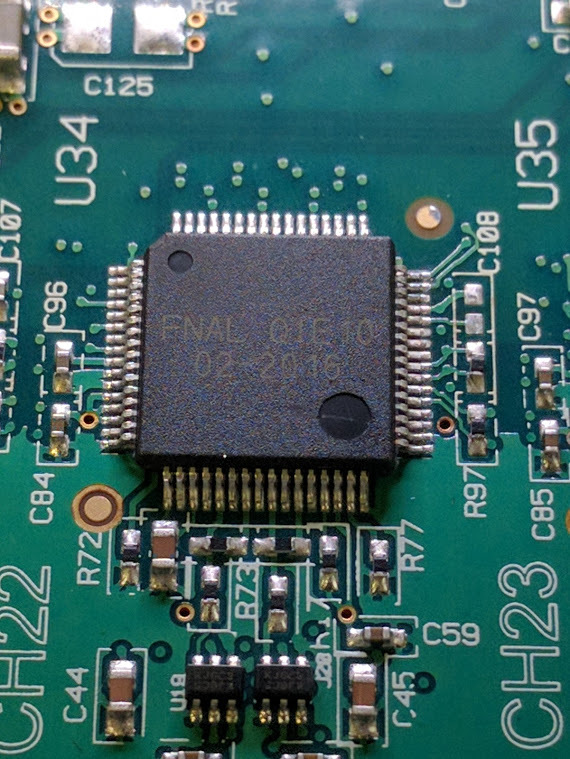 Upcoming experiments are aiming to detect the primordial signal. 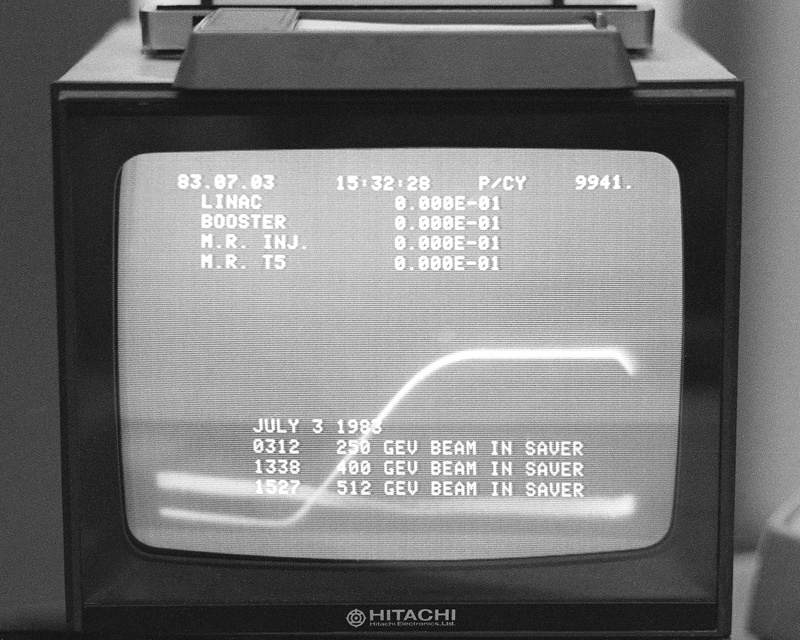 At 3:37 p.m. on July 3, 1983, the Tevatron claimed the world energy record by operating its particle beam at 512 GeV. 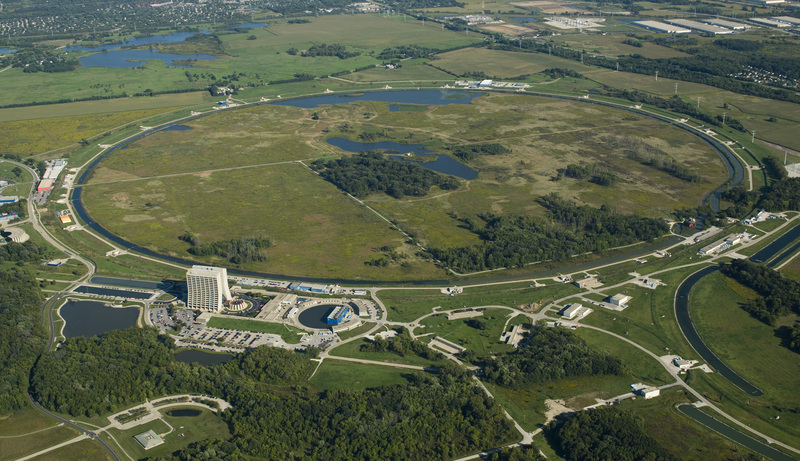 Fermilab held the honor until 2009, beating its own record time and again eventually achieving its namesake energy level, 1 TeV. 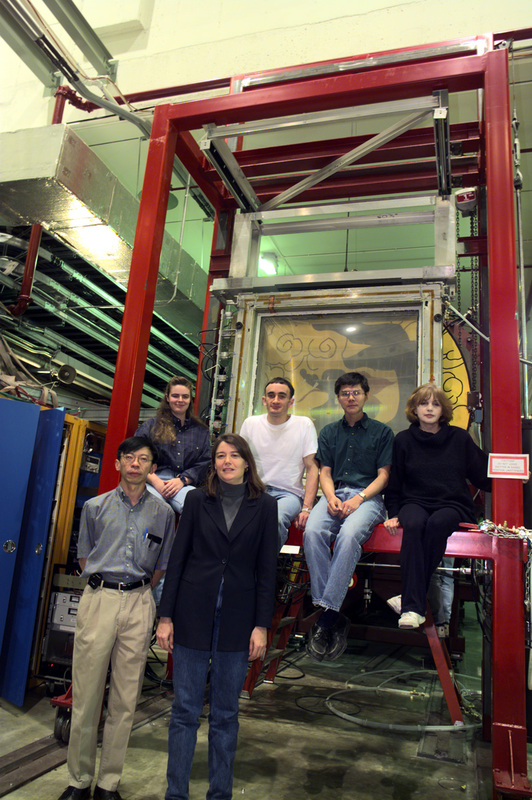 Scientist Helen Edwards, one of the Tevatron’s architects, was awarded the National Medal of Technology and the APS Robert R. Wilson Prize for her work on the collider.